A 1884 J. Keppler's cartoon illustrating the decline of the "Democrat Bourbonism" (represented as a broken cask). President Grover Cleveland (1837-1908), a conservative who denounced political corruption and fought hard for lower tariffs and the gold standard, was the exemplar of a Bourbon Democrat. Bourbon Democrat was a term used in the United States from 1876 to 1904 to refer to a conservative or classical liberal member of the Democratic Party, especially one who supported Charles O'Conor in 1872, Samuel J. Tilden in 1876, President Grover Cleveland in 1884–1888/1892–1896 and Alton B. Parker in 1904. After 1904, the Bourbons faded away. Woodrow Wilson, who had been a Bourbon, made a deal in 1912 with the leading opponent of the Bourbons, William Jennings Bryan; Bryan endorsed Wilson for the Democratic nomination, and Wilson named Bryan Secretary of State. The term "Bourbon" was mostly used disparagingly, by critics complaining of old-fashioned viewpoints. Bourbon Democrats were promoters of a form of laissez-faire capitalism which included opposition to the protectionism that the Republicans were then advocating as well as fiscal discipline. They represented business interests, generally supporting the goals of banking and railroads but opposed to subsidies for them and were unwilling to protect them from competition. They opposed imperialism and U.S. overseas expansion, fought for the gold standard, and opposed bimetallism and promoted hard and sound money. Strong supporters of reform movements such as the Civil Service Reform and opponents of the corrupt city bosses, Bourbons led the fight against the Tweed Ring. The anti-corruption theme earned the votes of many Republican Mugwumps in 1884. The nickname Bourbon Democrat was first used as a pun, referring to bourbon whiskey from Kentucky and even more to the Bourbon Dynasty of France, which was overthrown in the French Revolution but returned to power in 1815 to rule in a reactionary fashion until its final overthrow in the July Revolution of 1830. The term was occasionally used in the 1860s and 1870s to refer to conservative Democrats (both North and South) who still held the ideas of Jefferson and Jackson, and in the 1870s to refer to the regimes set up in the South by Redeemers as a conservative reaction against Reconstruction. The electoral system elevated Bourbon Democrat leader Grover Cleveland to the office of President both in 1884 and in 1892, but the support for the movement declined considerably in the wake of the Panic of 1893. President Cleveland, a staunch believer in the gold standard, refused to inflate the money supply with silver, thus alienating the agrarian populist wing of the Democratic Party. The delegates at the 1896 Democratic National Convention quickly turned against the policies of Grover Cleveland and those advocated by the Bourbon Democrats, favoring bimetallism as a way out of the depression. Nebraska congressman William Jennings Bryan now took the stage as the great opponent of the Bourbon Democrats. Harnessing the energy of an agrarian insurgency with his famous Cross of Gold speech, Congressman Bryan soon became the Democratic nominee for President in the 1896 election. Some of the Bourbons sat out the 1896 election or tacitly supported McKinley, the Republican nominee; others set up the third-party ticket of the National Democratic Party led by John M. Palmer, a former governor of Illinois. These bolters, called "gold Democrats", mostly returned to the Democratic party by 1900 or by 1904 at the latest. Bryan demonstrated his hold on the party by winning the 1900 and 1908 Democratic nominations as well; in 1904, a Bourbon, Alton B. Parker, won the nomination. He lost in the presidential race, as did Bryan every time. William L. Wilson, President Cleveland's Postmaster General, confided in his diary that he opposed Bryan on moral and ideological as well as party grounds. Wilson had begun his public service convinced that special interests had too much control over Congress, and his unsuccessful tariff fight had burned this conviction deeper. He feared the triumph of free silver would bring class legislation, paternalism, and selfishness feeding upon national bounty as surely as did protection. Moreover, he saw the proposed unlimited coinage of silver at a ratio of 16 to 1 to gold as morally wrong, "involving as it does the attempt to call 50 cents a dollar and make it legal tender for dollar debts". Wilson regarded populism as "the product of protection founded on the idea that Government can and therefore Government ought to make people prosperous". The nomination of Alton Parker in 1904 gave a victory of sorts to pro-gold Democrats, but it was a fleeting one. The old classical liberal ideals had lost their distinctiveness and appeal. By World War I, the key elder statesman in the movement, John M. Palmer, as well as Simon Bolivar Buckner, William F. Vilas, and Edward Atkinson, had died. During the 20th century, classical liberal ideas never influenced a major political party as much as they influenced the Democrats in the early 1890s. West Virginia Governor Henry Mason Mathews (1834-1884) was the first of the Bourbon Democrats to reach the highest office of state politics. West Virginia was formed in 1863 after Unionists from northwestern Virginia establish the Restored Government of Virginia. It remained in Republican control until the passing of the Flick Amendment in 1871 returned states rights to West Virginians who had supported the defunct Confederacy. A Democratic push lead to a reformatting of the West Virginia State Constitution that resulted in more power to the Democratic party. In 1877, Henry M. Mathews, as a Bourbon, was elected governor of the state, and the Bourbons held onto power in the state until the 1893 election of Republican George W. Atkinson. In the spring of 1896, mayor John Fitzpatrick of New Orleans, leader of the city's Bourbon Democratic organization, left office after a scandal-ridden administration, his chosen successor badly defeated by reform candidate Walter C. Flower. But Fitzpatrick and his associates quickly regrouped, organizing themselves on 29 December into the Choctaw Club, which soon received considerable patronage from Louisiana governor and Fitzpatrick ally Murphy Foster. Fitzpatrick, a power at the 1898 Louisiana Constitutional Convention, was instrumental in exempting immigrants from the new educational and property requirements designed to disenfranchise blacks. In 1899 he managed the successful mayoral campaign of Bourbon candidate Paul Capdevielle. Mississippi in 1877–1902 was politically controlled by the conservative whites, called "Bourbons" by their critics. The bourbons represented the planters, landowners and merchants, and used coercion and cash to control enough black votes to control the Democratic party conventions, and thus state government. 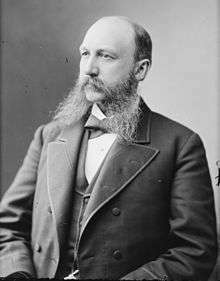 Elected to the House of Representatives in 1885 and serving until 1901, Mississippi Democrat Thomas C. Catchings participated in the politics of both presidential terms of Grover Cleveland, particularly the free silver controversy and the agrarian discontent that culminated in Populism. As a 'gold bug' supporter of sound money, he found himself defending Cleveland from attacks of silverite Mississippians over the 1893 repeal of the Sherman Silver Purchase Act and other of Cleveland's actions unpopular in the South. Caught in the middle between his loyalty to Cleveland and the Southern Democrat silverites, Catchings continued as a sound money legislative leader for the minority in Congress, while hoping that Mississippi Democrats would return to the conservative philosophical doctrines of the original Bourbon Democrats in the South. 1 2 Thomas E. Vass (2006). Reclaiming The American Democratic Impulse. GABBY Press. ↑ Morton Keller (2007). Americas Three Regimes: A New Political History. Oxford University Press. 1 2 3 Hans Sperber and Travis Trittschuh. American Political Terms: An Historical Dictionary. Detroit: Wayne State University Press, 1962. ↑ Horace Samuel Merrill, Bourbon Leader: Grover Cleveland and the Democratic Party. Boston: Little, Brown, 1957. 1 2 3 H. Wayne Morgan, From Hayes to McKinley: National Party Politics, 1877–1896. Syracuse, NY: Syracuse University, 1969; pg. ???. ↑ Festus P. Summers, William L. Wilson and Tariff Reform, a Biography.New Brunswick, NJ: Rutgers University, 1953; pg. 240. ↑ Horace Samuel Merrill, Bourbon Democracy of the Middle West, 1865–1896. Baton Rouge LA: Louisiana State University, 1953; pg. ???. ↑ "VIRGINIA. ; The Restored Government of Virginia--History of the New State of Things". The New York Times. June 26, 1864. ↑ "Declaration of the People of Virginia". wvculture.org. ↑ Edward F. Haas, "John Fitzpatrick and Political Continuity in New Orleans, 1896–1899," Louisiana History, vol. 22, no. 1 (1981), pp. 7–29. ↑ Willie D. Halsell, "The Bourbon Period in Mississippi Politics, 1875–1890," Journal of Southern History, vol. 11, no. 4 (Nov. 1945), pp. 519–537. ↑ Leonard Schlup, "Bourbon Democrat: Thomas C. Catchings and the Repudiation of Silver Monometallism," Journal of Mississippi History, vol. 57, no. 3 (1995) pp. 207–223. ↑ "Lieutenant General Wade Hampton III, C.S.A. (1818-1902)," This Week in the Civil War, January 27, 2012. ↑ Leonard Schlup, "Isham Green Harris," Tennessee Encyclopedia of History and Culture, 2009. Retrieved: 5 October 2012. ↑ John M. Cooper (November 3, 2009). Woodrow Wilson. Random House. p. 720. David T. Beito and Linda Royster Beito, "Gold Democrats and the Decline of Classical Liberalism, 1896-1900," Independent Review 4 (Spring 2000), 555-75. Allen J. Going, Bourbon Democracy in Alabama, 1874–1890. Tuscaloosa, AL: University of Alabama Press, 1951. Roger L. Hart, Redeemers, Bourbons and Populists: Tennessee, 1870–1896. Baton Rouge, LA: Louisiana State University Press, 1975. C. Vann Woodward, Origins of the New South, 1877–1913. Baton Rouge, LA: Louisiana State University Press, 1951. Allan Nevins (ed. 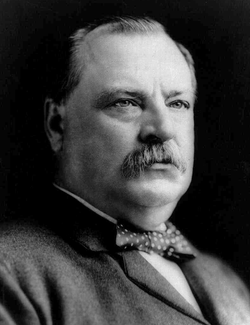 ), The Letters of Grover Cleveland, 1850–1908. Boston : Houghton Mifflin, 1933. William L. Wilson, The Cabinet Diary of William L. Wilson, 1896–1897. Chapel Hill, NC: University of North Carolina Press, 1957. Encyclopedia of Alabama, "Alabama Bourbons"